It is not uncommon for Florida homeowners and businesses to spend thousands of dollars on shrubs, plants, and ground cover. Why let aphids, scale, caterpillars, mealybugs, whiteflies, mites cause disease/damage or destroy your lush Florida landscape? 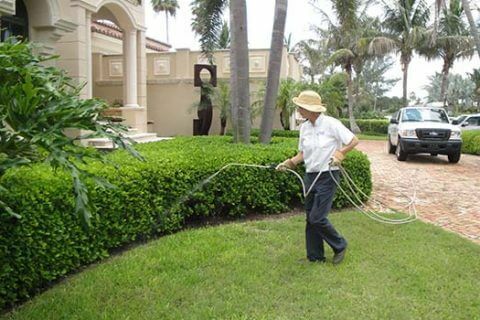 Travis Pest Management shrub and ornamental program includes Lawn Care Maintenance & Treatment Service, Ornamental Shrubs Care. It is designed to reduce the risk of landscape damage from insects and diseases to humans. The shrubs and ornamental plants need as much care as the lawn. They help in giving the yard a distinctive look and turns out to be quite eye-catchy. But they also turn out to be eyesore if they do not match the lush green colors of the grass. 1. The plants look lush and green. 2. Healthier plants in your lawn. 3. Bugs and other harmful insects to the plants stay away. Fungus is capable of persisting in the soil for many years. They are present even in the susceptible plants. Once the plants are infected it is very difficult to cure them. So, you need to ensure that you have the accessibility to an appropriate lawn fertilizing. 1. Four treatments per year (scheduled quarterly) of quick release fertilizer. 2. Each shrub and ornamental application includes an insecticide and horticultural oil treatment for the control of shrub damaging insects. Horticultural oil is one of the best methods to stop pests from making their way back into your garden. 3. Fungicide treatments are administered when necessary for the control of diseases. The garden of your dreams sure does need shrubs in it. 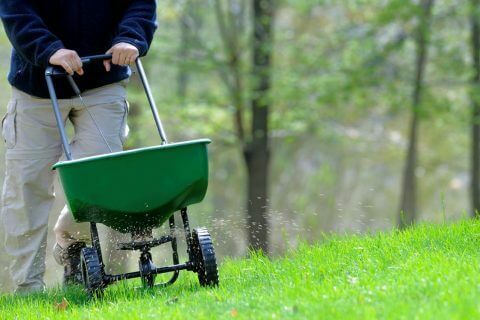 Our fertilizing services help you keep that dream alive.